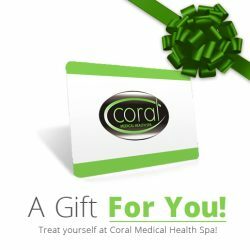 At Coral Spa we are delighted to offer a range of bridal spa packages and specialized treatments. We appreciate that wedding preparation can become extremely hectic and we believe that we can lighten the weight upon your shoulders. Our treatments are designed to ensure that you look your radiant, glowing best on the most important day of your life. Naturally, we wouldn’t want to leave anything to chance. Therefore, the services we offer are specially designed to care for the skin and appearance while preventing potential issues before the big day. Please review our bridal spa day collection and decide whether you would like to treat yourself, share with your new partner in life or the entire bridal party. We promise to make everything perfect for you. Take the time to relax and pamper yourself before the big day with a full body 60 minute relaxation river rock massage, a coral pedicure and a coral manicure. Congratulations, You’re engaged! Now its time to begin the celebration early with a relaxing spa day for the future bride and groom. Enjoy a shared full body 60 minute relaxation massage, followed by Coral’s Luxurious Spa manicures and pedicures. The big day is finally here, your wedding day! Time to get yourself wedding ready by enjoying a relaxing Simply Dermalogica Facial followed by a European Manicure and European pedicure.